Scott Motejunas has a passion for helping innovative businesses define and execute their growth strategies. Within the Product Innovation team at Surescripts, a leading health information network, he is responsible for managing all aspects of the product life cycle—from initial concept to launch. Currently, his portfolio focuses on helping clinicians better manage the medication regimens for their patients. Prior to Surescripts, Mr. Motejunas worked on the corporate strategy team at Humana, a leading Medicare Advantage health plan. 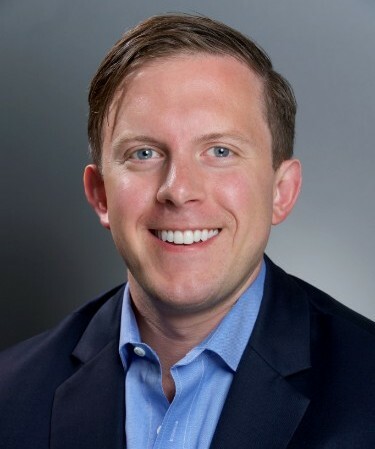 Prior to Humana, he was on the investment team at Camden Partners, a private equity firm focused on growth-stage health-care technology companies. He earned a BA from the Johns Hopkins University with honors in economics and an MBA from the Darden School of the University of Virginia. He is also a CFA charterholder. You’ve spent a lot of time working in the health-care sector, regarding innovation, insurance, and investment. Which area of the business side of health care have you found most interesting? To what extent do you see the different sectors of health care operating harmoniously (or not)? Several macro trends are having an impact on today’s health-care system. An aging population, prevalence of chronic conditions, proliferation of high-cost drugs, and emerging public-health issues create challenges and opportunities for innovative companies. The shift to value-based care—rewarding for value vs. volume of care—is a key step in tackling these challenges and is finally starting to take root. Stakeholders across the care continuum are collaborating more than ever, enabled by health-information technology. It’s exciting to see the early results. How has an understanding of free-market principles, or economics generally, helped you navigate the concept industry of health care? In what ways do you think that public policy can help improve the sector? The health-care industry operates like a quasi–free market, given government’s outsize role. Understanding how government can drive market behavior through incentives can help businesses chart their strategies. For example, health-care IT companies saw an opportunity with government mandates in the late 2000s, resulting in rapid adoption of technology, such as e-prescribing. What led you to get involved with the Adam Smith Society? At Darden, the Adam Smith Society presented a unique forum to discuss ideas about government, business, and society. I continue to engage industry thought leaders, connect with like-minded people, and satiate my own intellectual curiosity. What are some of your personal interests outside of work and public policy? Travel, the outdoors, and entrepreneurship.